We’re very happy to announce that after launching the Civic Community Developer Program at the end of 2017, we’re now ready to move forward with two of the projects submitted by our community members. The community has voted, and after careful consideration, we’re pleased to announce the first bounty program for the components that are ready for development. The developers or teams that develop the best components will earn a bounty when their submission is approved by the Civic team. Anyone can contribute to growing the Civic ecosystem and help bring secure digital identity to the world. You can choose to work on a project on your own, or work in a group. To participate in the developer community, simply select an approved product to work on and follow the process below. Projects are ongoing until the Civic team selects the winning submission, so get started early to increase your chances of claiming the bounty. Choose the project (or projects) you want to work on, and visit the Civic-hosted GitHub repository for the project. You’ll find a link to the GitHub repository, which contains files with detailed requirements for that project and further instructions you’ll need to follow in order to receive a bounty should it be awarded to you, in the Active Projects section of the Community Developer Program page. Clone the repository for the project you want to work on. Add files to your local repository as you develop your solution. When your work is complete, submit your code by creating a pull request on the GitHub repository. Your code will be audited and tested, and the pull request will be approved only when the submission meets all requirements and Civic designates the submission as the approved solution. A bounty is awarded when a pull request is accepted and merged into the master branch. 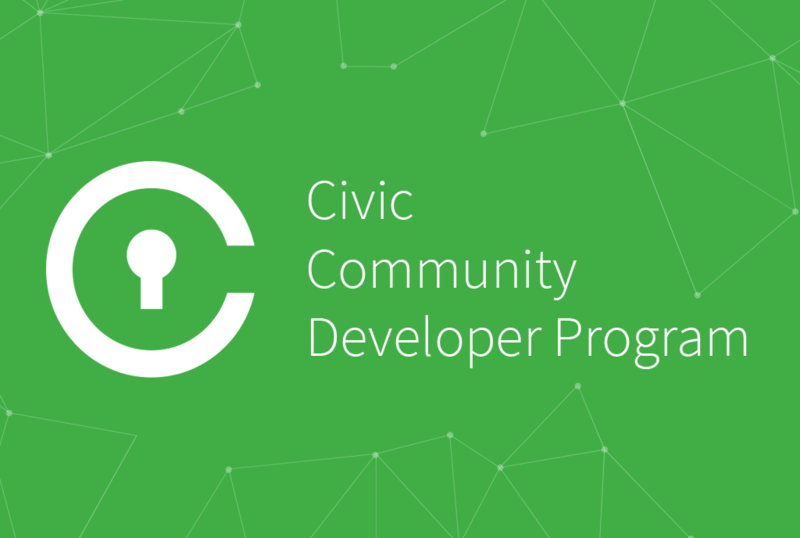 Civic will update the Community Developer Program page to reflect that a project bounty has been awarded, and the project will be closed to new submissions. We can’t wait to see what the community comes up with, and look forward to making the Civic ecosystem even stronger. Help us spread the word about the bounty program by sharing this blog post on Reddit, forums, and social media. The most active promoters will be rewarded. While the first developers are working on the two bounty programs, you can still submit suggestions and ideas for new projects via the Community Developer Program page. There you can also monitor the status of open projects. Developers can review our Documentation and sign up for the Civic Integration Portal. Check the Civic Team GitHub and the Civic Community GitHub for coding resources and inspiration. A Slack workspace has been created to facilitate discussion and to provide answers to questions. To get an invite to this Slack workspace please email cdp@civic.com. For general information and developer community terms, see the Developer Community Terms and Conditions.